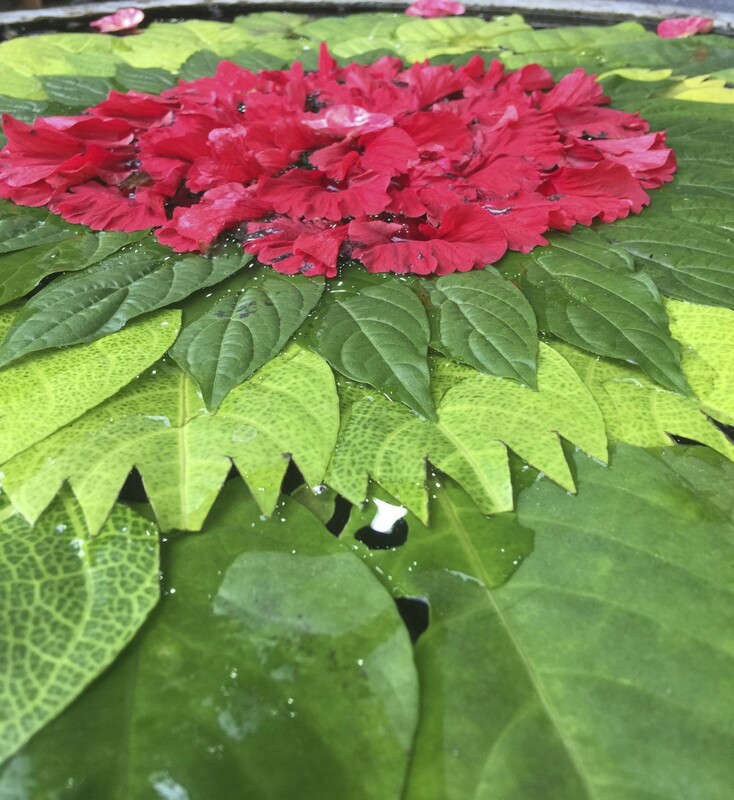 Loved these Mandalas made from flowers and leaves, placed on the pavements everyday. 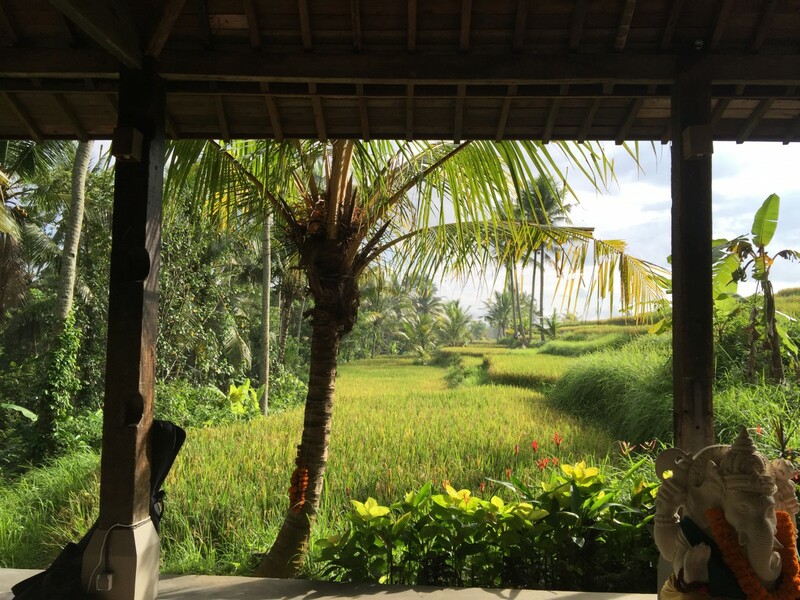 Taking in the lushness of Bali, shortly after arriving. 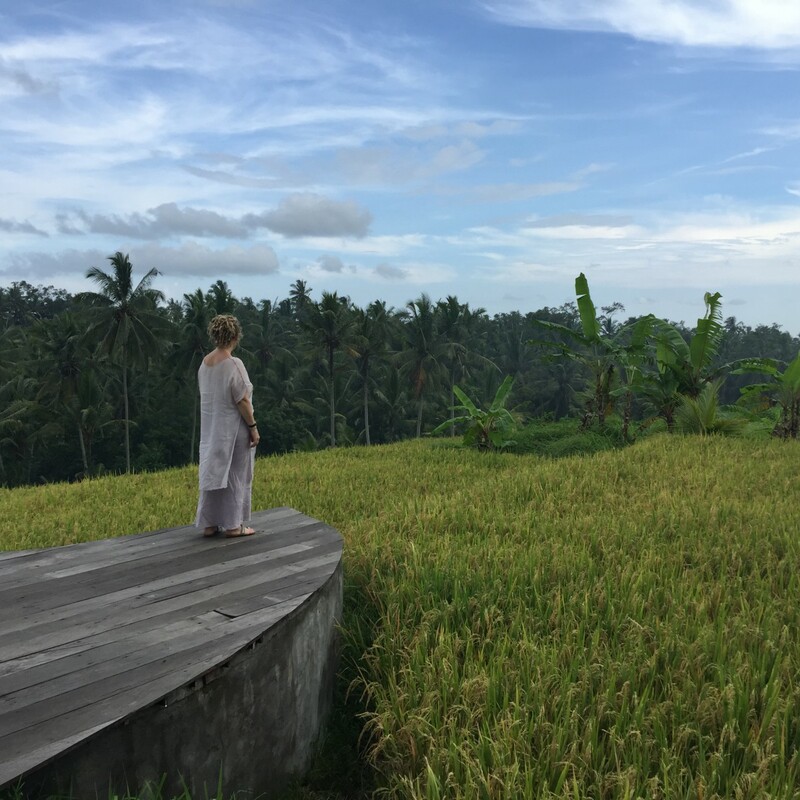 Here I am overlooking the Paddy Fields in Ubud. The View from this Yoga Platform was almost unreal. 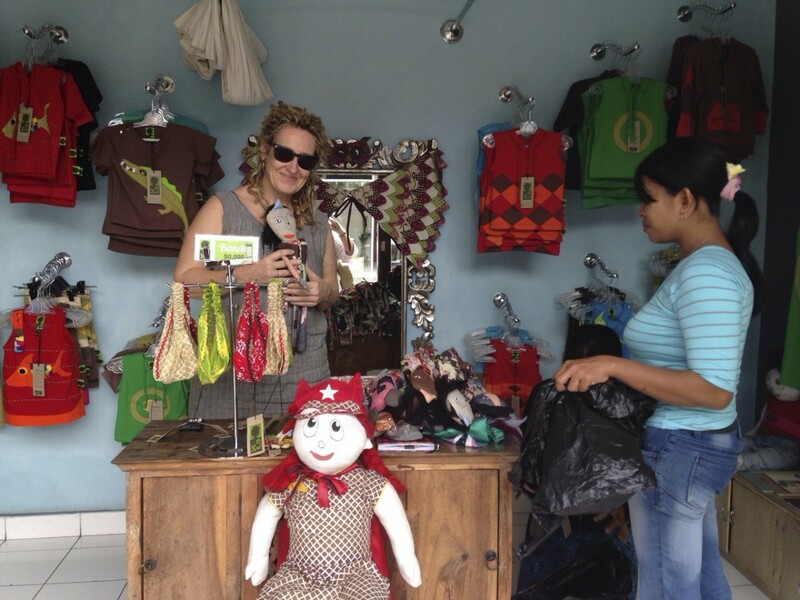 Finding Local Handicrafts, in this case some handmade animal dolls made from recycled materials by a fair trade womens initiate in the local village. 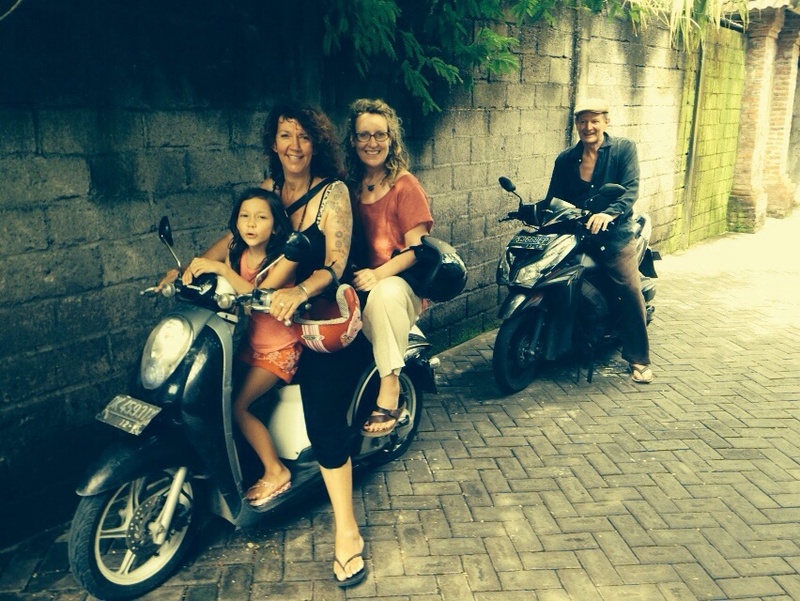 Best way to travel when out shopping around Ubud. A Wing carved in Fossilized Mammouth bone. 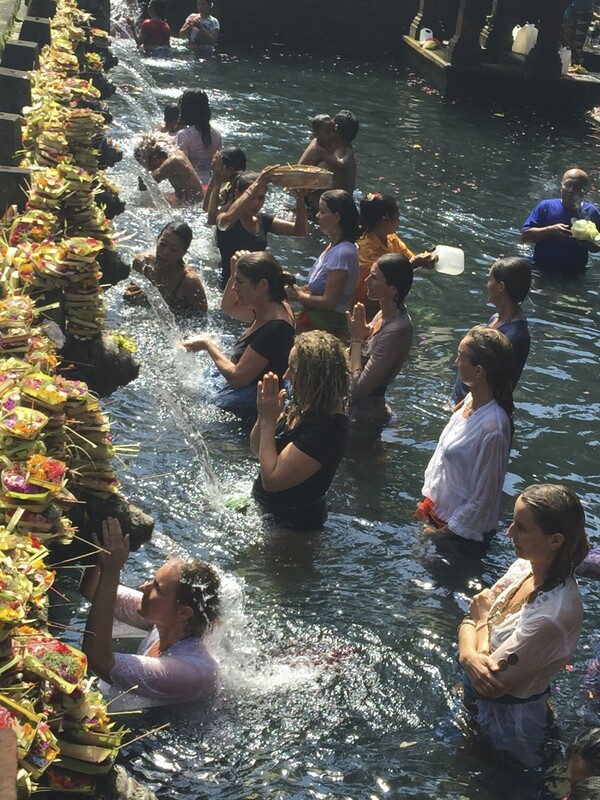 Time out at the Water Temple was an experience I will treasure, here I am working my way down the water urns with Prayers & Blessings and huge carp swimming around my feet.